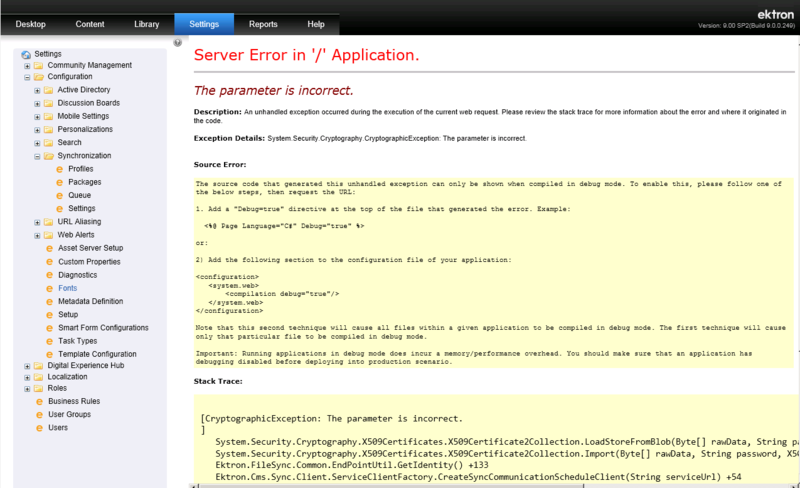 The following errors are caused by missing or incorrectly applied certificates. 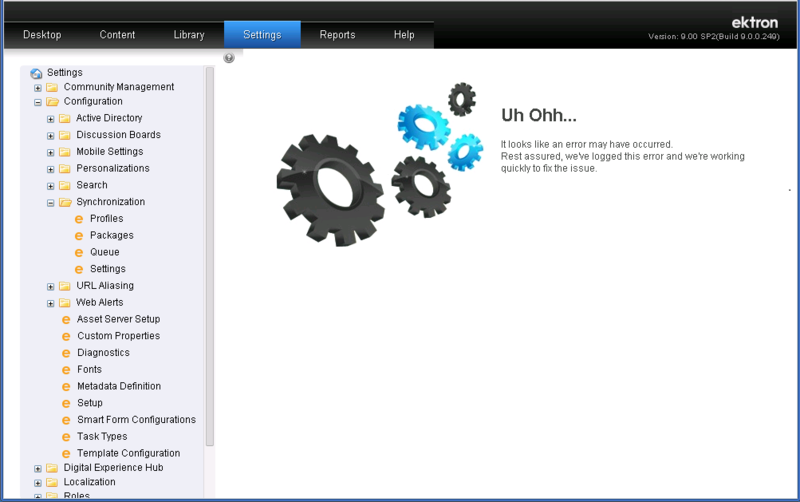 Click on sync profile and the Uh ohh error appears. Sync gets all the way to the end but then fails. Identity Check error: Exception Details: System.ServiceModel.Security.MessageSecurityException: The identity check failed for the outgoing message. 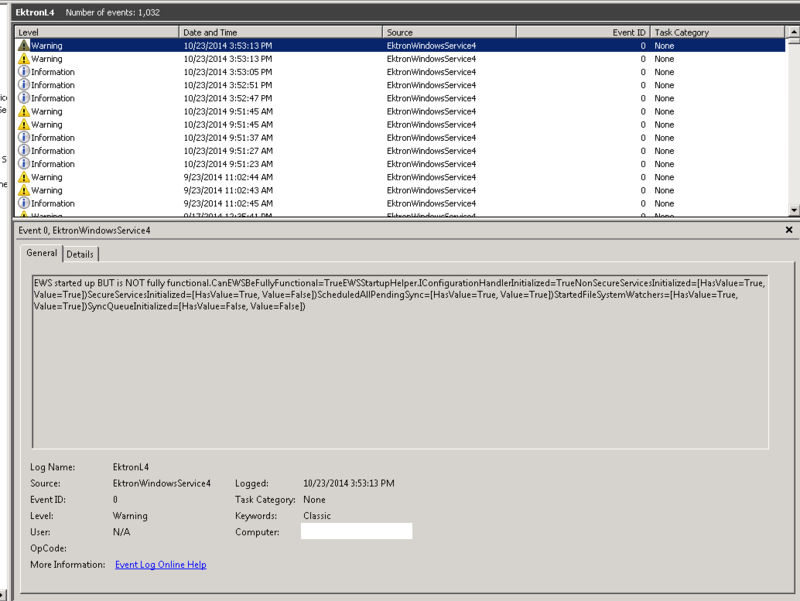 No security certificates found: "No security certificates were found for synchronization. 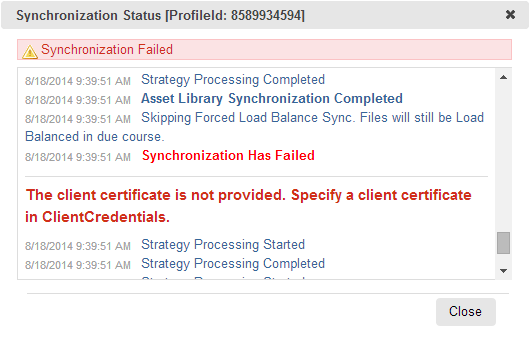 Please configure the certificates and try again." 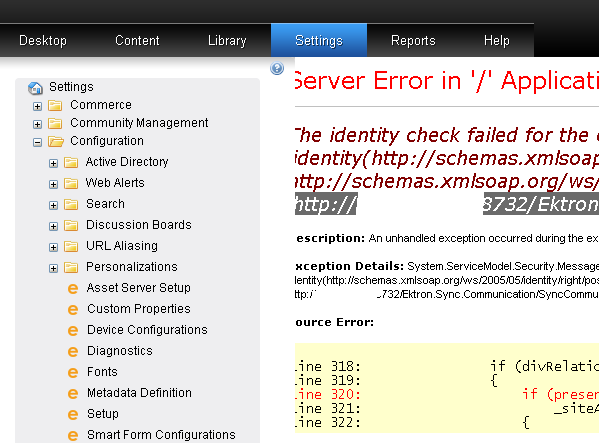 EWS started up BUT is NOT fully functional. Requested Security Token: "the requested security token could not be satisfied because authentication failed." 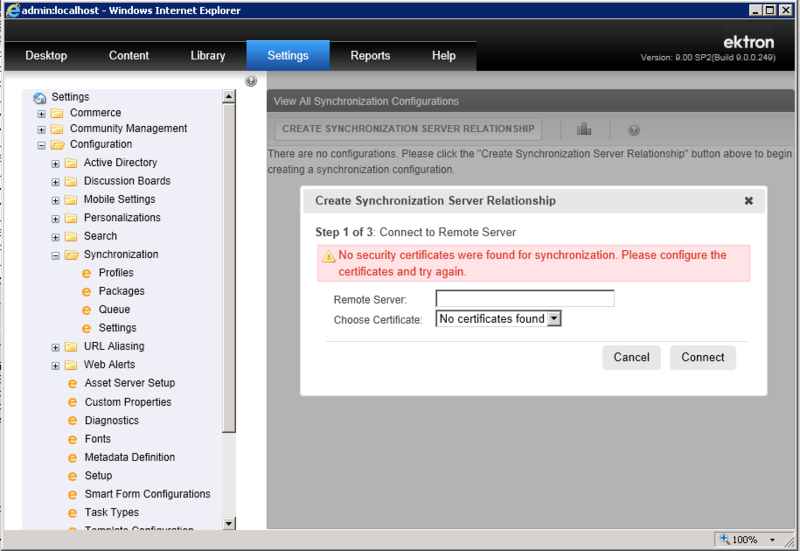 The Ektron Windows Service (EWS) cannot reconcile the certificates because they are incorrect. Follow the steps in the Knowledge Base link. If you have further issues, contact Ektron Support.